Minami Nakanishi in Art & Photography on 30 November, 2017. Are you tired of sitting at your desk to write essays? Here is a solution – Paperweights. Paperweights are made to keep papers from blowing by the wind or moving during writing or painting on them. They are usually made of glass but also metal, stones, jade, and ceramics in all over the world. Their decorative and exquisite design attract many people and some are in museums. 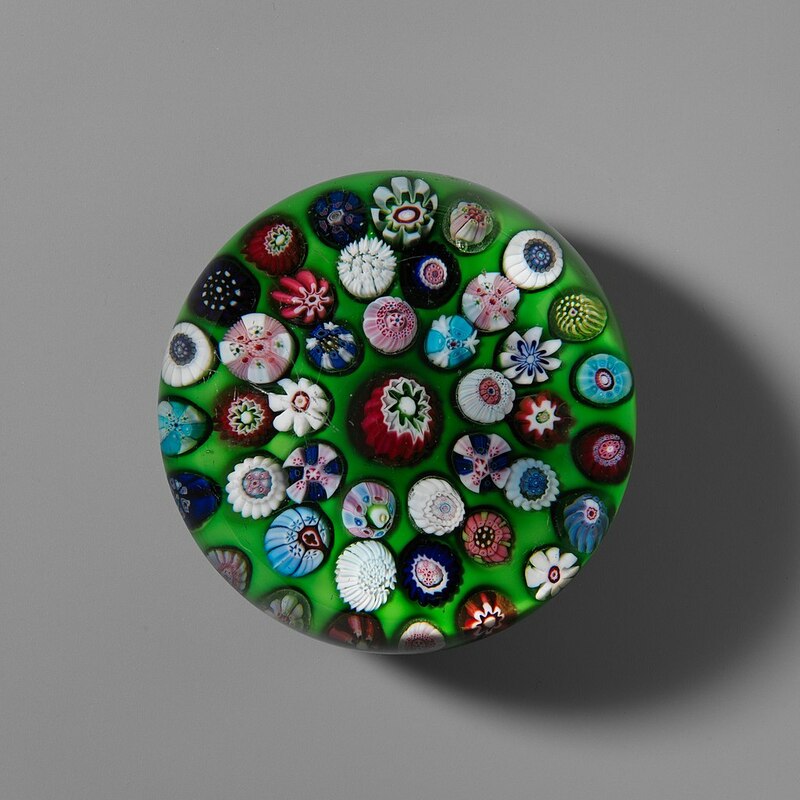 I’m going to introduce some beautiful paperweights made from eighteenth to nineteenth century. Please relax and enjoy them! Metropolitan Museum of Art via commons.wikimedia.org. This paperweight was made in France around 1850 by St. Louis which is one of the famous old glass factories. The motif is flower like many paperweights at that time. Also, typical spiral pattern is used around the flower and has a three-dimensional effect. Also made in France around mid-19th century by old glass factory, Clichy. 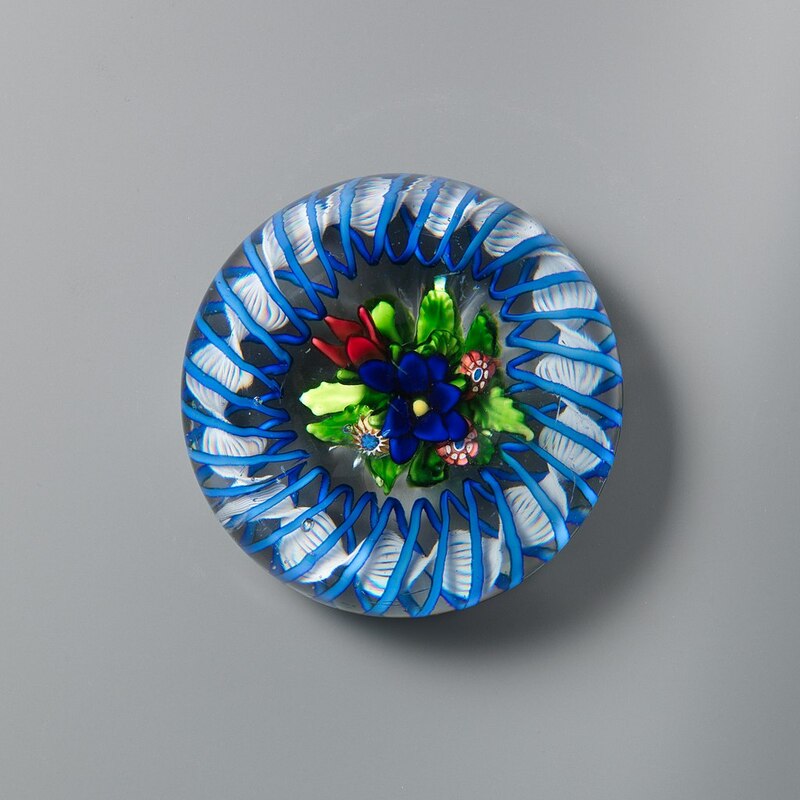 This type is called Millefiori because composed glass canes made of thinner glass rods inside the glass looks like a flower. Each flower has different features and colors, and get never tired of it. This technique is common and there are many different patterns still now. Walters Art Museum via commons.wikimedia.org. This was made in France before 1845 by Antoine-Louis Barye who is a painter and sculptor of animals. 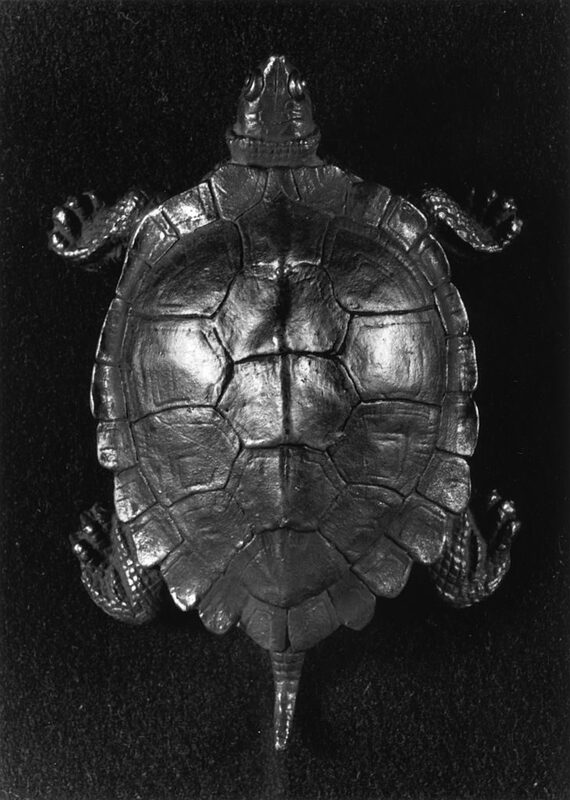 It is made of bronze with patina on turtle shell. It is considered that he made plaster cast from a living turtle and made this. Because of this, it is realistic in detail especially its shell. This was made in America around 1850 by New England Glass Company. 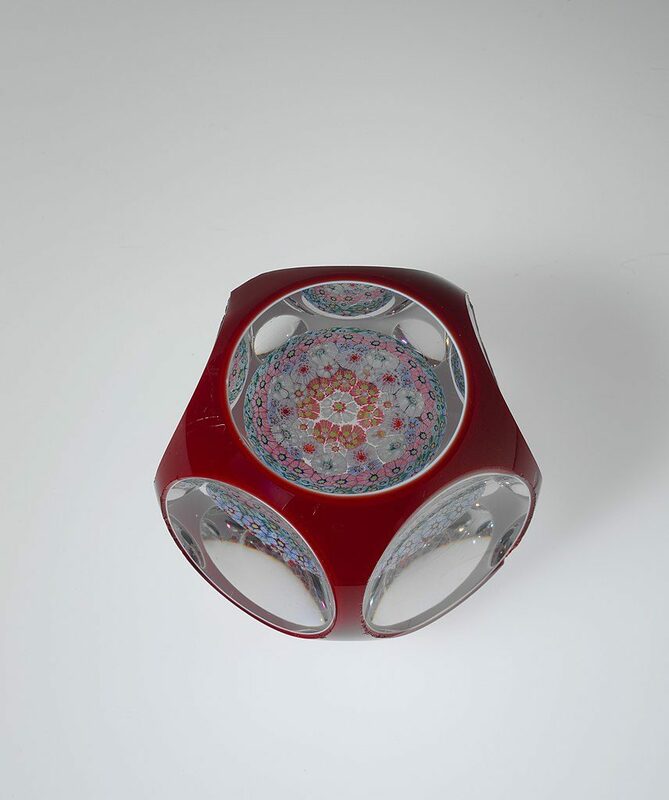 Like many others at that time, Millefiori is used, but this one is in more interior of the glass and enhance a three-dimensional effect. Also since the exterior glass is cut, the smooth curved line emphasizes its beautifulness. This was also made by New England Glass Company around 1860-1880. This one is simple and unique compared to other decorative ones. 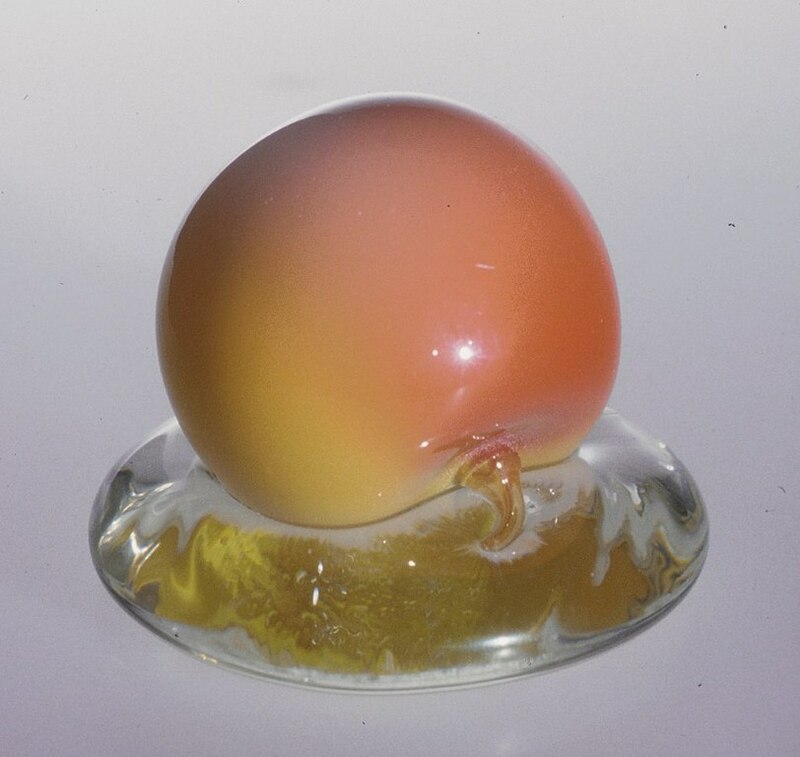 Its slick surface made by free-blown glass looks like a yolk and is attractive. The clear glass underneath the ball-shaped glass is like water drop because of the uneven surface. 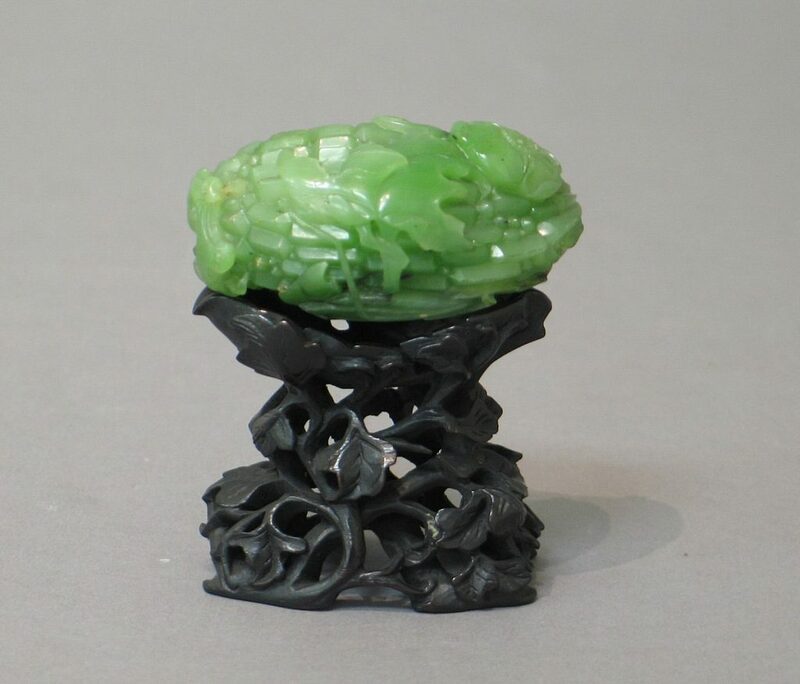 This was made in China around eighteenth century and made of jade. In China, jade, gem or precious hardstones are important to show their high status since the ancient times and this tradition remains in these craftworks. The rough surface of a bitter melon is represented by fine sculpture. 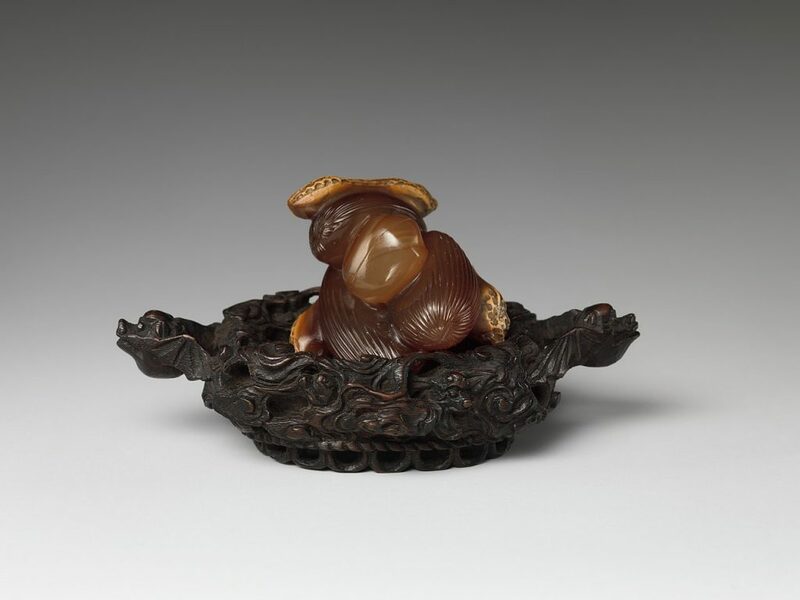 The stand for the jade is shaped a vain of a bitter melon and is also decorative. This was made in China as well around eighteenth century. Blown hardstones were used effectively to show glossy jujube date surfaces and rough peanut shells. Chinese pronunciation of peanuts and jujube dates is similar to the phrase ‘may you have children soon’ and this paperweight indicates a wish for that newly couple can live happy married life. 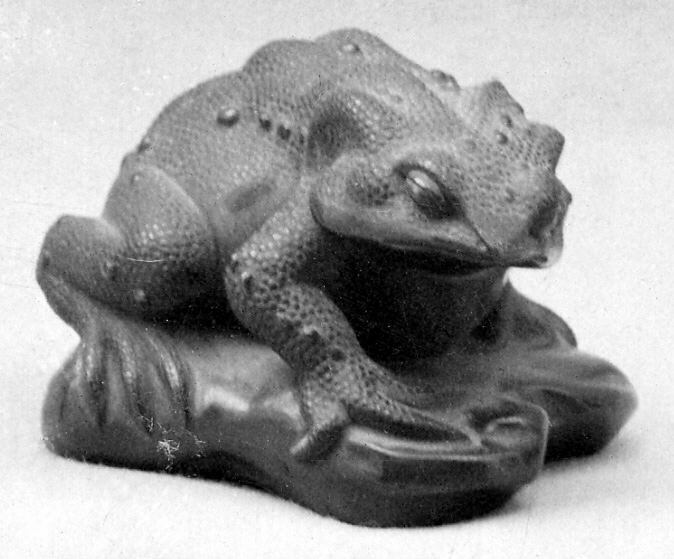 This toad was made in Japan around nineteenth century and made of bronze. Its skin is realistic thanks to a fine sculpture. It seems like it is going to move. 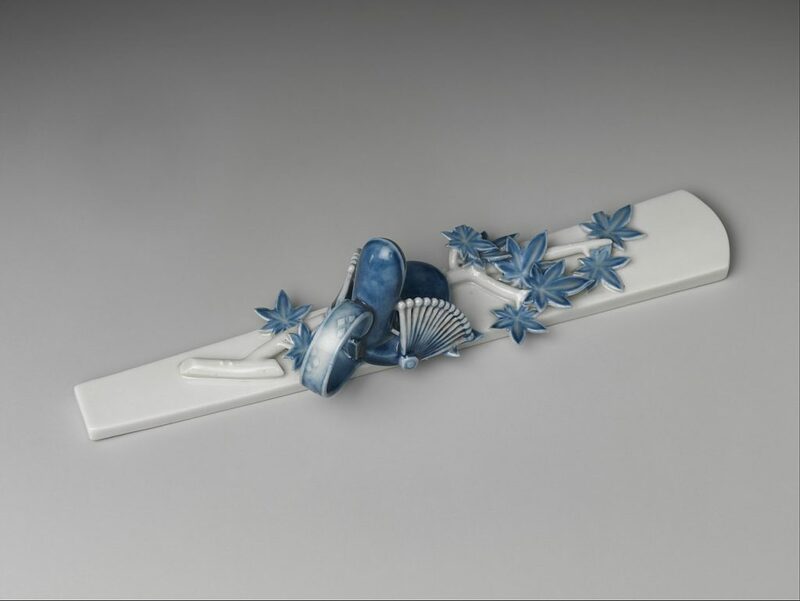 This was made in Japan around second half of the eighteenth century. A branch of maple and red leaves are represented by monotonous ceramics. On the right side, there is a traditional hat for aristocrats when they dance to the traditional music. The theme of this paperweight is “Beneath the Autumn Leaves”, chapter 7 of The Tale of Genji which is the novel published in 1008. The scene that the main character dance under the maple tree is expressed only by the hat and maple leaves. Some paperweights in China and Japan look like light. It can be assumed that this is because Chinese and Japanese used thinner paper compared to western countries. Paperweights are usually used only for decoration for the desk, but some contains people’s wish or story. These days, we tend to use laptop or smartphones and the chance to use paper is decreasing and paperweights is no longer necessary. But they can add the color to your tedious desk and let you relax even the day before the deadline. These antique decorative paperweights are expensive and only available for privileged people, however, now we can find cheap one in many shops. Why don’t you buy one and spend great time at your desk?